There are multiple ways of financing a movie, but not every method is one size fits all. Chris and I are still deciding what is going to work best for us. In our research, we came across some first movies by now established filmmakers and how they found financing. Here are some of what we've learned from their experiences that can be used during this process. Kevin Smith is in the history books of indie filmmaking for how he got his first feature made. The budget for the film was $27,575 which Kevin got by selling his comic book collection, credit cards and insurance money from storm damage to his car he shared with his friend. Most of the budget went for film stock and developing. Kevin worked all day at the convenience store where the story was located and filmed all night when the store was closed. During filming, he only slept an hour a day and often drifted off while filming. He gave everything he had to the making of Clerks, but it paid off: the movie was purchased by Miramax and earned $3 million dollars on 50 screens. It has a HUGE cult following and Kevin Smith is an indie god. You have to put your all into your film. If you're not willing, who else will? Edward Burns, or Eddie as we like to call him, is another indie filmmaker that is used as a IT COULD HAPPEN TO YOU tale. Ed seems like he had a lot of luck, but he was incredibly smart and works hard, using every tool that he had. The initial budget for Brothers McMullen was $28,000, most of which was pulled together by Ed and his family. The majority of the budget went to film stock and developing. He filmed at his home, he put up ads for free actors, just providing lunch. He worked at Entertainment Tonight as a camera man and used their equipment at night to edit the film. He snuck a copy of the film to Robert Redford while he was filming an interview with him for ET. Robert Redford personally invited him to Sundance to premiere (which is unheard of). The movie was well received and was the first film to be purchased by Fox Searchlight. Another $200,000 was used to fine-tune the movie and for the rights to "I Will Remember You" by Sarah Mclachlan to play during the credits. ( Remember, this was the 90's, so it was peak- Mclachlin time) The movie made $10 million and set off a season of critically acclaimed Indies. Use everything you have available to you. People you know, your family, your house, make it work for you. Side note: Ed wrote a book about his filmmaking career called Independent Ed: What I Learned From My Career of Big Dreams, Little Movies and the Twelve Best Days of My Life. I learned so much about the smart way of making movies from him; it's super fascinating! 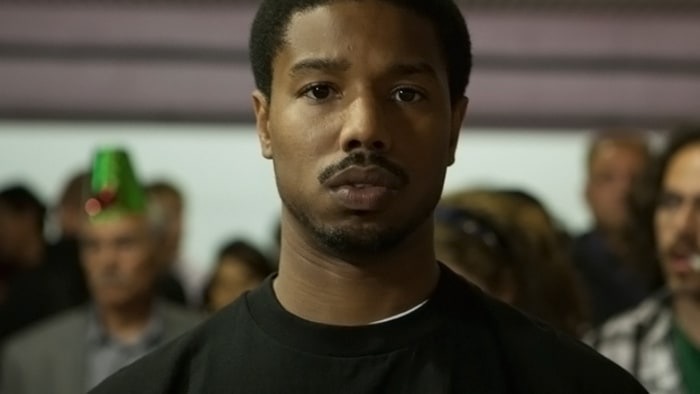 Ryan Coogler was in college when Oscar Grant was killed. He knew that he had to tell this story. He worked with the family of Oscar Grant to write the script. A production company ran by Forest Whitaker was looking for new filmmakers to mentor, and Ryan was one of those chosen and they helped develop Fruitvale Station. He also worked with the Sundance Screenwriters Lab and utilized the tools offered to him there. The budget was less than $1 million, raised through investors. When some of the funding fell through, Octavia Spencer, who played Grant's mother, used her connections to raise what was needed. The finished film was involved in a bidding war at Sundance and The Weinstein Company purchased it for $2 million. The filmed ended up earning over $16 million and critical acclaim. Ryan would go on to direct Black Panther, one of the most successful movies in Marvel history, both financially and critically. Be passionate and explore all avenues to get your project made. Use the people around you- they are willing to help! Mira Nair moved to America from India when she was 19 to attend Harvard and became interested in acting. She started making documentaries about Indian traditional culture, winning many awards. When she moved to features, she didn't stray from uncomfortable subjects of race and class. Mississippi Masala is about an interracial romance between a black man and an Indian woman. Original funding fell through after an actor backed out of production and Mira and her team had to start looking again. Mira has said that potential investors told her that it would be easier to finance a film with white actors. That wasn't the story that she wanted to tell, so she stood her ground and eventually found the investors she needed when Denzel Washington came on board. The movie budget was over $6 million and made just over $7 million, so it wasn't a financial success, but Mira made a name for herself. She made such movies as Monsoon Wedding, earning a Golden Lion award from the Venice Film Festival, the first woman to do so. Know your audience and look for money based off of that audience. Investors are not one-project-fits-all. Look for money in unlikely places. That this movie was made at all is a true testament to persistence. 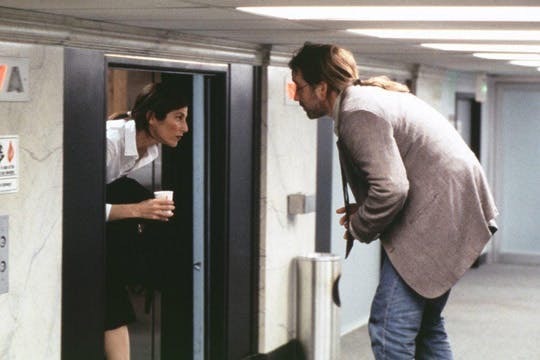 The writer, Charlie Kaufman, had previously written for sitcoms that never made it past their first season. The director, Spike Jonze, was known for creating a skate boarding magazine and filming music videos. After Charlie wrote the script, he took it from producer to producer, studio to studio, only to be rejected time after time. He sent the script to Francis Ford Coppola, with the hopes that he would produce. Francis gave it to his then son-in-law, Spike and he wanted to direct. It's going to take time. Be persistent and don't give up. All it takes is one yes. Dov Simens from 2 Day Film School says " You can't make your third movie without making your second. And you can't make your second without making your first." Getting the money for your first feature can be a challenge. Be passionate about your project, get others excited to see it and to help you, be creative with your story and most of all, be persistent.